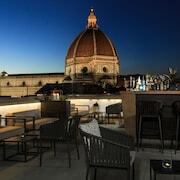 What are the top landmarks in Florence? Art lovers will be in their element in this famous museum, home to the most extensive and important collection of masterpieces in the world. Learn more about the local history when you visit Ponte Vecchio, a well-known historical site in Florence. Amble around this vibrant area's riverfront or experience its fascinating museums. The “Saint Mary of the Flower” cathedral and its towering dome have come to symbolize Florence. Palazzo Vecchio is a top museum in Florence with a story of its own. Visit the notable monuments and churches in this vibrant area. Giotto’s Bell Tower, the resplendent Baptistery, as well as the cathedral and its dome draw the crowds to this square in the heart of the city. Duomo is an historic neighbourhood that’s popular for its cafes. The neighbourhood’s architecture and rich culture are just a couple of its charming qualities. You can satisfy your cultural palate with cathedral and museums. Santa Maria Novella is a welcoming, walkable neighbourhood. For a taste of local culture, you can visit the museums and cathedral. San Lorenzo is a welcoming, walkable neighbourhood with convenient options for cafes and restaurants. You can satisfy your cultural palate with museums and shopping. Known for being relaxing and romantic, Val d'Elsa is an historic area with a great selection of wineries. Many visitors come for its beautiful outdoor setting, especially the countryside. 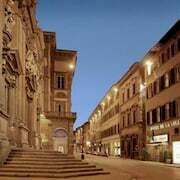 Santa Croce is an historic, walkable neighbourhood with convenient options for cafes. The neighbourhood’s charm comes through in its architecture. For a taste of local culture, you can visit the cathedral and museums. Oltrarno is a welcoming, romantic neighbourhood. Take in the natural beauty of the riverfront, gardens and sunsets – or broaden your horizons with some local museums and art scene. A day trip to Tuscany. Opens in a new window. The beauty of Florence. Opens in a new window. Florence, Italy on foot. Opens in a new window. The decor of the hotel room was very nice. Excellent bed. I had excellent service at the restaurant. The salmon was a bit overcooked, so I cannot give the restaurant my highest rating but all other elements were very good. Florence is a beautifully romantic Italian city, held in high esteem as the birthplace of Renaissance. Visitors return here again and again for the world-class art, the excellent food and designer shopping. 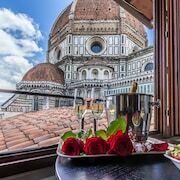 It’s also home to fantastic luxury hotels as well as B&Bs, guesthouses, and even hostels for those wanting to discover the allure of Florence on a budget. 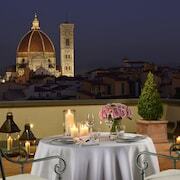 Some of the best hotels in Italy are found in Florence. With lavish exteriors and swish interiors, many of the establishments perfectly complement Florence’s inherent class and beauty. The service in these 5-star hotels is of the very highest standard, and the opulent facilities like pools and full-service spas are often without compare. The Cathedral of Saint Mary of the Flower is a most popular tourist destinations in Florence. Luckily, there are plenty of hotels nearby so you don’t have to walk far to experience it. 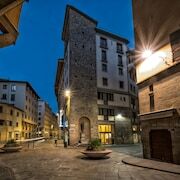 Thanks to Florence’s diminutive size, other key attractions like Galleria degli Uffizi, Palazzo Vecchio and Museo di San Marco are never far away, wherever you choose to stay in Florence. 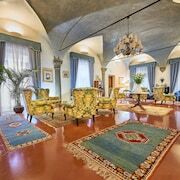 The Expedia search tool allows you to find the best accommodation in Florence for you, and the selection includes a range of good apartments, cheap hotels and residences. These budget options can still be found in or near some of Florence’s most desirable districts. This means you’re never far from the hustle bustle even if you’re not splurging on high-end digs. Aside from the excellent galleries, shopping is one of the main draws of Florence. Being the birthplace of Gucci and Roberto Cavalli, it’s rightly earned itself credentials as a top fashion spot. Beyond the high-end Italian threads for sale, Florence is also a good place to explore retro and vintage shops. Then there are the specialists selling glass, homewares, silverware and perfumes. In fact, whatever you’re shopping for, it’s likely you can find it in the shops of Florence. The Arno river flows through the middle of Florence and has shaped the beauty and majesty of the city. Ponte Vecchio is one of the most famous bridges in the city, as it was the first built there, as well as being home to a number of shops. It’s a lovely and romantic spot to explore of an evening. There are hotels in Florence near Ponte Vecchio and the riverside to make the most the beautiful views. Travellers are often attracted to Florence to explore its rich history more closely. So, it can make for an extra special trip to stay in a hotel that is part of the fabric of this history. 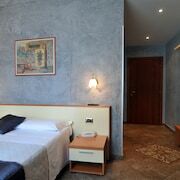 Many of the city’s finest accommodation is housed in old town houses that retain their historic charm and original features but have been adapted to be modern and comfortable with the typically sumptuous furnishings synonymous with this part of Italy. If you like Florence then why not explore some of Italy's other magnificent cities? 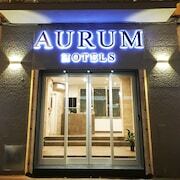 Book great deals on hotels in Rome and Venice hotels with Expedia. Explore Florence with Expedia's Travel Guides to find the best flights, cars, holiday packages and more!